Green Tea provides hydration throughout the day and contains antioxidants that help provide protection against free radical damage. 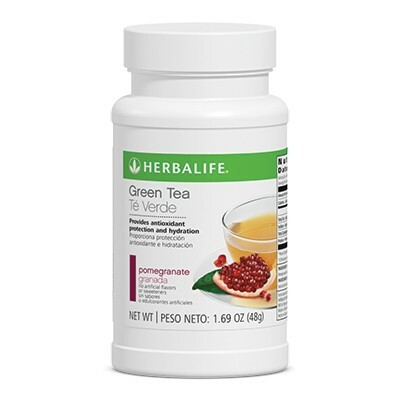 With only 25 mg of caffeine per serving, this refreshing tea is lower in caffeine than an 8 fl. oz. cup of coffee. Pomegranate flavor. This refreshing, low-caffeine beverage contains antioxidants for protection against free radicals, providing hydration any time of day. Mix approximately ½ teaspoon (0.8 grams) with 8 fl. oz. of hot or cold water. Enjoy 2-3 servings per day.